We all spend most of our days indoors. Otherwise, we would be outside suffering in the Summer heat and Winter cold. It’s a luxury that we take for granted. The fact that advances in air conditioning have allowed us to be comfortable 24 hours a day, is a marvel of human achievement. There is one drawback to that achievement: poor indoor air quality. Indoor air quality refers to the quality of the air inside and around the buildings that we sleep, work and play in. While the HVAC systems that we use to push air through our homes and offices does condition the air to our liking, it could also be making us sick. When someone in our indoor environment is sick (coughing, sneezing, etc. ), we depend on our HVAC systems to take the polluted air that contains those contaminants away. Sickness is not the only way your indoor space can become polluted, though. Other ways include improper ventilation of fumes and the materials used during the building’s construction. What can poor indoor air quality do to our health? 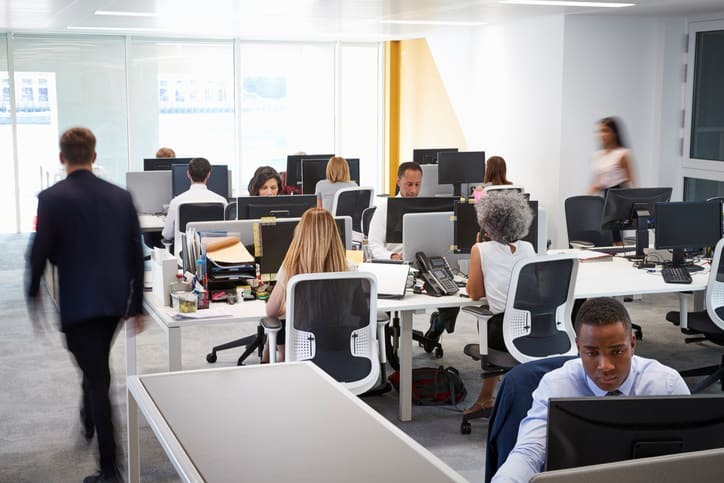 While it may not be apparent right away, the effects of spending time in a polluted indoor environment can manifest itself into a wide array of sicknesses. Irritation of the eyes, nose, and throat, headaches, dizziness, and fatigue are commonly reported. Long term exposure effects include lung disease, cancer and heart disease. What can we do about poor indoor air quality? Hiring an experienced HVAC contractor to diagnose the problem and provide solutions. That may include the installation of a device that attracts the pollutants in the air and neutralizes them, changing the air filters to a specialized filter, or redesigning your HVAC system to use more fresh air instead of recycling the air in the building. Contact Gentry Air Conditioning today via our online contact form or call us at 817-488-6733.